Most performers admit that one of their greatest desires is to land a recording contract. The thought of having their music in every record store across the country and their songs played on radio stations from coast to coast is exhilarating. In many cases, a recording contract with a national company is a real benefit to an artist. In some cases, however, it is not. Before you set your sights on a record deal, make sure you know what it will mean for you. Most performers admit thatÂ their goal is to land a recording contract. The thought of having their music in every record store across the country and their songs played on radio stations from coast to coast is exhilarating. In many cases, a recording contract with a national company is a real benefit to an artist. However, in some cases,Â it is not. Before you set your sights on a record deal, make sure you know what it will mean for you. 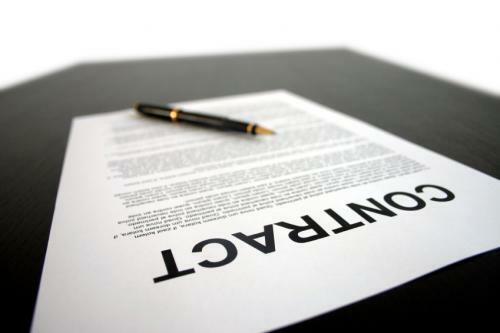 Since it is a contract, there are numerous details that must be read and re-read before an artist thinks about signing.Â Problem is, the contract is always written to favor the record label and NOT the artist.Â Added to this is the fact that almost all contracts are written in "legal-speak" to where only a lawyer can decrypt the hidden meanings.Â So, be sure to get a lawyer to review the contract before proceeding.